Jacob's Reward Home for Wayward Chickens. There are three new chickens calling the farm home for a while - a pretty gold rooster and his two female companions. 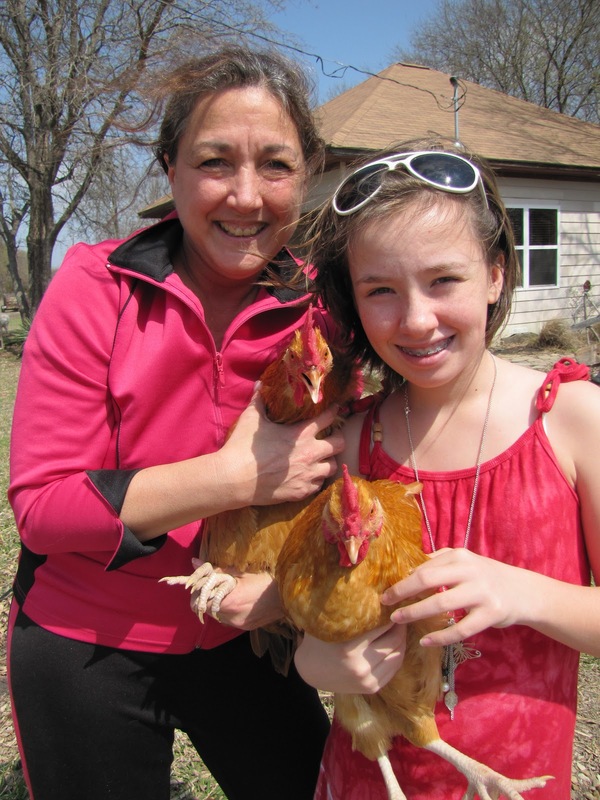 They belong to Cosette and her daughter Alyce, who figured out too late the unfortunate gender of the lead chicken. Crowing isn't allowed in their neighborhood, so the mini flock is hanging out with us until Alyce's uncle in Austin can build a coop. The happy trio will then relocate to the Hill Country to live out their lives. In the meantime, we have several unoccupied chicken tractors in the pasture, so one of those will suit the group very well. The pretty birds installed themselves nicely, and greeted the welcoming committee of alpacas. We're keeping an ever-watchful eye on them because the two hens are past due to start laying. We may see the very first egg at any time. Pins and needles!